Every single generation alive today has grown up with an iteration of Gene Roddenberry’s iconic science-fiction universe. Baby boomers and their parents bonded over the three-season original series that ran on CBS from 1966 to 1969, uplifting Capt. James T. Kirk and the original crew of the U.S.S. Enterprise as transcendent heroic touchstones who inspired a pioneering fandom that borders on religious reverence. The 1987 debut of “Star Trek: The Next Generation” began an 18-year renaissance for the sci-fi institution that spawned three additional new series and six movies between its pilot “Encounter at Farpoint” and the 2005 finale of “Star Trek: Enterprise,” the last new entry prior to J.J. Abrams’ 2009 cinematic reboot. Every so often, the obsessive fashion in which “Trekkies” scrutinize the philosophical foundations of politics, science, and diplomacy beneath The Final Frontier scatters seeds for some profound meditations on humanity’s better nature. In other instances, that devout canonical study liberally roasts those seeds with fantastic humor. “Klingons: OK, we don’t get it. Vulcan Science Academy: Get what? Klingons: You Vulcans are a bunch of stuffy prisses but you’re also tougher, stronger, and smarter than humans in every single way. Why do you let them run your Federation? This is a species where, if you give them two warp cores, they don’t do experiments on one and save the other for if the first one blows up. This is a species where, if you give them two warp cores, they will ask for a third one, immediately plug all three into each other, punch a hole into an alternate universe where humans subscribe to an even more destructive ideological system, fight everyone in it because they’re offended by that, steal their warp cores, plug those together, punch their way back here, then try to turn a nearby sun into a torus because that was what their initial scientific experiment was for and they didn’t want to waste a trip. They did that last week. We have the write-up right here. It’s getting published in about 600 scientific journals across 200 different disciplines because of how many established theories their ridiculous little expedition has just called into question. Also, they did turn that sun into a torus and no one actually knows how. So it came to pass that an enduring nerdy fandom added a small, humorously pointed footnote to the very “gray” answer for a lingering debate of human thought: which is more powerful, knowledge or creativity? As difficult as it would be to underestimate a pool of know-how as deep as it is broad, knowledge accumulated without a drive to invest it towards innovation gains the world nothing. To learn without a willingness to stand on the shoulders of giants and reach higher than mankind’s grasp is an empty exercise. 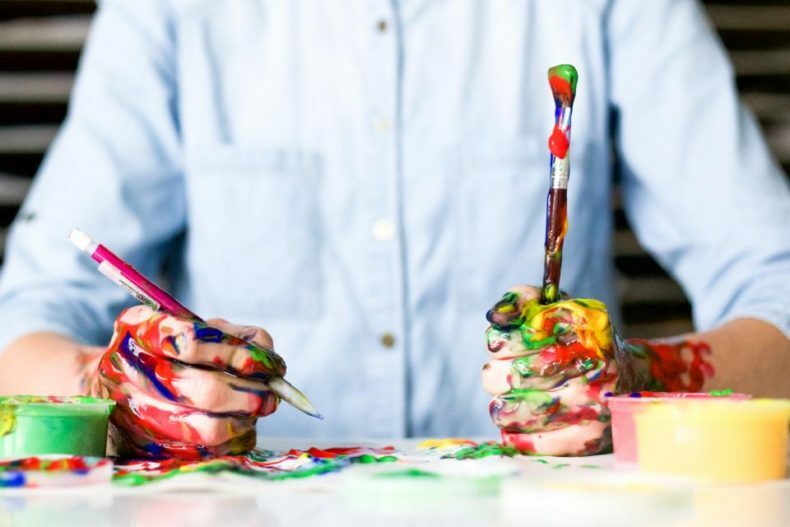 Yes, creativity stands atop a foundation of experiences and facts, but it is original thought and application that imbue all learning with cohesive meaning. You might even say that creativity is the catalyst for the birth of all knowledge; without the initiative to test it, any understanding is little more than a well-made tool with no hands to wield it. Ideas begin as experiences. Since no two individuals evaluate the same set of surroundings through 100-percent identical schema, rarely do two separate minds conceive even uncannily similar ideas through precisely the same process. Imaginations differ in visionary scope as strikingly as in their respective mechanisms. That is why the same knowledge channeled through two minds can lead to astonishingly disparate discoveries. If we regard the human mind as the most powerful computer in all known existence, then imagination is the unparalleled rendering software that meshes raw data we feed it into fresh combinations that unconditionally expand our horizons of knowledge. Look at the two people sitting nearest to you. Counting yourself, if I were to compare your three personal cognitive frameworks to computer operating systems, I could likely find myself looking from the latest Mac OS to Windows to Linux or possibly even an Android version. Installing the same fact into each mind would be like implementing new software across a range of devices: sure, it’s generally compatible, but I would be surprised if it didn’t run with some subtle-but-critical differences from one machine to the next. Through creativity, static knowledge ignites change. Across every scientific discovery throughout recorded history, that has been inevitable. For the life of them, species across the universe could not comprehend the standard human approach to the scientific method. That’s probably why neither Romulans nor Klingons nor even Vulcans would have thought first to chain multiple warp cores together and then to hurl a third into a sun just to see what would happen. Conversely, humanity discovered something even the galactically acknowledged superlative intellect, logic, and overall interminable knowledge of the Vulcans could neither deny nor explain. Every other species far outstripped our own comprehension of the technology with which we were tinkering. Then again, which one channeled its inferior knowledge into an existence-shaking breakthrough simply by passing it through an unheard-of perspective? Exactly. We didn’t re-invent the warp core. We just put it to work in ways nobody else had ever attempted. It concerns and disappoints me how quickly higher education can breed complacency. What ambitious minds learn inside classrooms the world over comprises half the equation that eventually yields astonishing discoveries – if even that. Please, don’t mistake me for marginalizing the value of a structured formal setting to learning a trade or preparing for a professional career. After all, an idea is the sum of experiences refined by contemplation and time. Everything we process from the first day of Kindergarten until the day matriculation ends lays the groundwork for everything that will fill in our stockpiles of knowledge and drive our creativity for the rest of our lives. The more we “know,” the greater and more diverse the stores of fuel our imaginations can call upon and link into wholly original notions. Unfortunately, contentedness with completed degrees and extraordinary academic achievement fails to take existing information and let creativity catalyze it into questions that don’t have answers…yet. The Vulcan Science Academy couldn’t conceive a valid motivation for hurling a warp core into a sun. If they had, they would have done it first. Mankind went with the most obvious muse at the heart of any idea: we didn’t know what would happen. We concocted a “What if…?” scenario based on our distinctive human penchant for facing uncertainty with a certain guile. It was a quintessentially human line of reasoning. Albert Einstein once said, “Imagination is more important than knowledge. For knowledge is limited to all we now know and understand, while imagination embraces the entire world, and all there ever will be to know and understand.” When we don’t know something, we take what data we have and make no bones about testing one solution after another, knowing that even failure furthers our reserves of data based on what we can then categorically say didn’t work and drives us toward enlightenment. Knowledge actively tested by experience begets knowledge. With the combined pressures of time and analysis, the combined wisdom we harvest from putting theory into practice before our eyes coalesces into whole new propositions. Eventually, the hypotheses we cultivate might one day take root as formative pieces in someone else’s pioneering work. I read this and thought it might be something for you. The post is called Knowledge is dead! Creativity is the new power! and is located at https://motivationalspeaker.biz/knowledge-is-dead-creativity-is-the-new-power/.